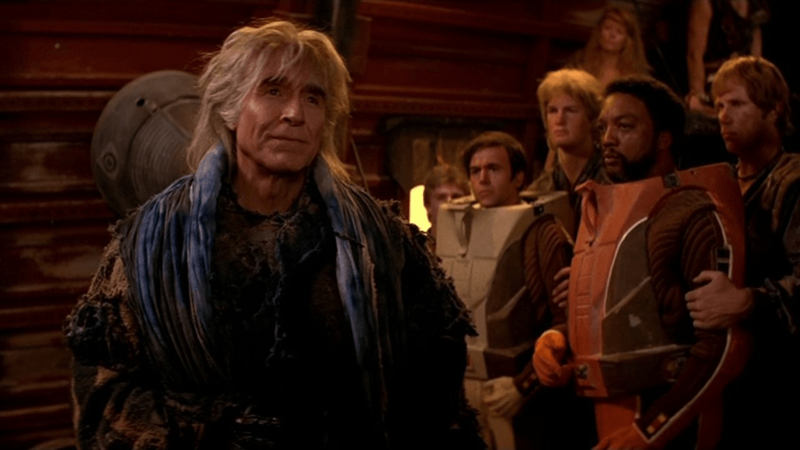 Hello and Welcome to Truth Or Myth, in Today’s episode we take a fun and fast look at the mistakes made in Star Trek II: The Wrath Of Khan. Please note, there have been MANY versions of this movie released, the one I’m picking apart is the version most recently released on BluRay, Also this series looks at only in-universe CANON explanations for answers, so novels, comics or games aren’t valid sources to explain away the mistakes. During the Kobayashi Maru Test at the Beginning of the Movie, Saavik, a Vulcan, swears when she finds out about the Kobayashi Maru. Is this the actions of a logical unemotional Vulcan? Apparently, smoking is still a problem in the 23rd century, as a sign next to the turbolift makes it clear that no one is to smoke on the bridge. Also, Bridges science Station has changed positions since the last film, these are not mistakes per-say, just things of note. Why is the Neutral Zone Represented by a sphere on the main view screen? Are we to assume that Kronos is at the centre of that sphere? Wouldn’t a bordered line be more appropriate as seen in the TOS episode Balance of Terror? Second, The Gama Hydra System is also mentioned. Last we heard, the Gamma Hydra system was close to Romulan space, as specified in the TOS episode The Deadly Years. And Third isn’t it the Romulans that don’t take prisoners? Chekov seems to think so in The Deadly Years. And we know Klingons DO, in fact, take prisoners as they took Kirk and Spock prisoner in Errand of Mercy. Someone’s math seems to be really off in this movie. When Reliant is on approach to what it believes to be Ceti Alpha 6 Chekov gives the stardate as 8130.4, but in Star Trek, The Motion Picture the stardate given for that movie is 7411.4. So what’s the problem with that you ask? Well, Star Trek the Motion Picture takes place 18 months after the events of Kirks original 5-year mission. We know Kirk was the youngest captain in Starfleet History up to that point, having received the captaincy at the age of 34. Given a 5 year mission, Kirk was 39 when the Enterprise put into spacedock for her refit and was 41 at most when the Events of TMP occurred. In the Wrath of Khan, Kirk is turning 52 so about 11 years have passed since TMP. The problem is later in the movie Kirk plays back Dr Marcus’s Video about Genesis, stating the tape has been made about a year ago. The stardate given in the video is stardate 7130.4, which means a period of about 1 year is represented by 1000 stardate units. But stardate 7130.4 comes BEFORE the motion pictures stardate of 7411.4, meaning that the video was made before TMP, so how is that possible? Speaking of Reliant, why didn’t it notice the differences in the Ceti Alpha Star System? 1 a planet is missing and 2 are we believe that when Ceti Alpha 6 exploded it put planet 5 into the exact same orbit that 6 originally occupied? Also, why didn’t the Reliant sensors detect the 50 or so Supermen and Women on the Planet? We know the sensors are working fine since Chekov makes no mention of any problems except for a blip that could mean there might be living one day on that planet. When Captain Terrel and Chekov beam to the surface of the planet, Terrel materializes with one leg raised up on a sand dune… Did he stand like that in the transporter room? When Chekov realizes they’re on Ceti Alpha 5, not 6, why did they get all dolled up and stroll outside instead of calling for an emergency beam-out right there in Khan’s living pod? Can’t Starfleet Beam through its own cargo containers? How did Khan even know about Terrell and Chekov beaming down? Does Khan have sensors of some sort to detect ships in orbit? And then instead of just capturing the Captain and Chekov as they enter the domicile, Khan opts for a Dramatic reveal instead. Having his Supermen and Women wait outside for the 2 Officers to exit! The shuttlepod approach to the Enterprise creates 2 problems for the audience. First are the transporters down again? Why didn’t the crew just beam aboard? When undocking Kirk gets really nervous that Saavik is taking the enterprise out. Why is he nervous? Sulu is at the hem, he knows his job, or are we to believe that he’ll just blindly follow any order Saavik gives? 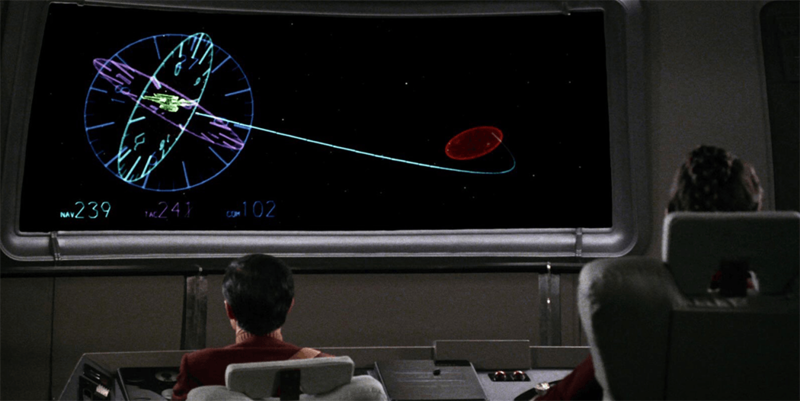 When Carol Marcus sends Kirk a distress call he’s watching it on a tiny monitor in his quarters. What happened to the big view screen he had in the Motion Picture? During the lead up to the sneak attack on the Enterprise Khan throws out a Klingon Proverb. When exactly did he learn Klingon? But the real problem here is that the proverb he spits out is actually an old Sicilian Proverb, NOT a Klingon one. After the attack Scotty shows up on the bridge with an injured Crew member, wouldn’t sickbay have been a better place to take him? besides later on in the film, Spock tells Kirk the turbolifts don’t work below C Deck, so how did Scotty get to C Deck to take a turbolift carrying the crewman so quickly? And the blood stain left on Kirks Uniform by that Crewman keeps changing position, shape and intensity. When the landing Party find Terrel and Chekov in a box on Regula 1, Terrel tells Kirk that Khan blames him for the death of his wife and Kirk angrily replies that he knows what Khan blames him for. How exactly does he know this? Khan never said anything? 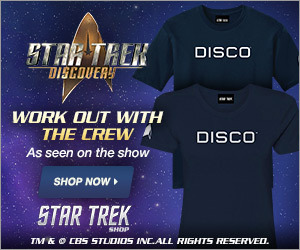 For all Kirk knows MaGivers might be alive and well-running sickbay or something. 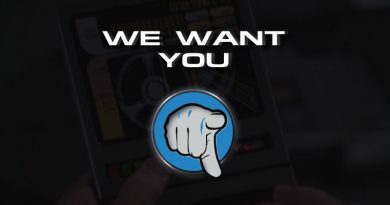 Why do Kirk and crew have handheld communicators? In the motion Picture they have the same wrist comms that the Reliant crew are using, so why the switch? Why does the Mind Control Eel leave Chekov anyhow? Was it mourning the death of its sister? Or was Chekhov’s brain simply not tasty enough for her? Why does an advanced starship like the Enterprise have grates to remove in the torpedo bay before she can go into battle… Does this make sense? 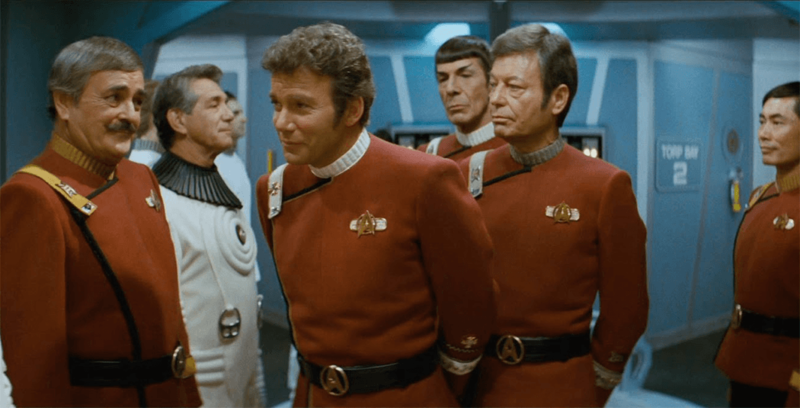 Why does everyone except Admiral Kirk lurch forward when entering the Mutara Nebula? I thought Kirk was a superior tactician? Yet in the battle in the Nebula when reliant sneak in front of the Enterprise Kirk orders Evasive starboard, giving Khan a much larger profile to target. During Spock’s death scene watch Kirk’s uniform flap again, it varies in how open it is throughout the scene. And finally during Spock’s funeral Kirk Says Spock’s soul was the most human he had ever met. Wouldn’t Spock have considered that an insult? Just as he did in Star Trek 6? And why exactly is Vulcan Saavik crying? 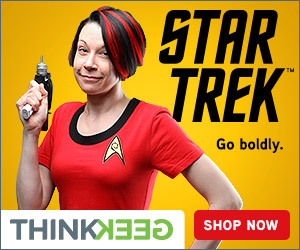 isn’t that illogical and emotion-filled? Thank you for watching today’s episode of Truth or Myth. If we think of something I missed or have a suggestion you’d like to pass on please leave a comment below. And don’t forget to like and subscribe to the channel. Thanks again for watching, live long and prosper!